Water is considered to be the best source to hydrate body. In the research of The European Food Safety Authority 2010, it has been reported that a person needs to drink 2 litres a day and 1.6 liters of water per day for women, ie 8 to 10 glasses per day.👈(how much water to drink?) But if more quantity is taken then many kind of health problems start to happen. Our weight increases, when fat is accumulated in the body. There is also water content in frozen fat cells. In such a situation if you drink excessive water, then the kidney is not able to take out the whole water from the body. The remaining water spoils the balance of the electrolyte in the body. With this water gets accumulated in the body and your weight increases. Within 24 hours, the accumulated water gets out of the body. However, if you have a habit of drinking more water everyday, then obesity can be a problem. Generally, excessive intake of sodium and low potassium is thirsty. Salt is made from sodium, so people who eat more salt are more thirsty. Salt out the water from the cells (cells). In this case, if you eat more salt, then your cells start sending signals to the brain to become thirsty quickly. It has been found in a research that when the body gets too much water, the level of sodium starts decreasing rapidly. Lowering the level of sodium can cause swelling in the brain, which is a dangerous stage. Research has found that due to drinking excessive water, the sodium becomes unusually low in the body, hence the risk of hypothermia is increased. Sodium is a kind of electrolyte that regulates the amount of water in our body. Drinking excessive water can cause over hydration problem. The effect of over hydration falls directly on the kidney. Actually, kidneys work is to filter the water in our body. If you drink more quantity of water daily, then the burden of work on kidneys is high, which can also threaten kidney failure in the long run. 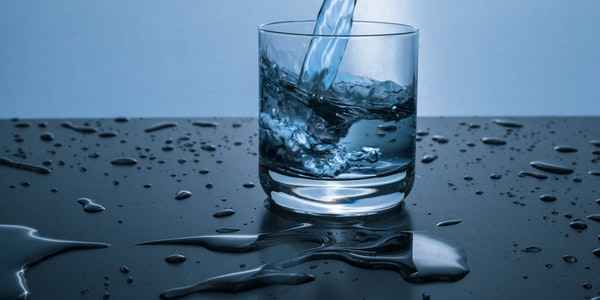 Water is one of the most essential elements for the human body, everyone is aware of the benefits of drinking water. It will be known to all the people how much water should be consumed throughout the day and what are its benefits. When we stand and drink water, it flows easily and in a large quantity goes down into the food tube and falls on the lower abdominal wall. It has the potential to damage the stomach wall and surrounding organs. Due to such a long period, problems of digestive system and heart and kidneys occur. Never drink water while standing. It puts emphasis on knees and is prone to arthritis. Drinking water by standing up spoiling the balance of other fluids in the body. Ultimately, it also reduces the required fluid in the joints and joints. It causes problems in joint and pain like arthritis. When water is consumed while standing, then the water passes through the kidneys faster, without much loss. This can cause dirt in the bladder or blood so that there are diseases of the bladder, kidneys and heart. Q How much water should i drink a day ? Q How much water is too much ? Q How much water to drink a day ?